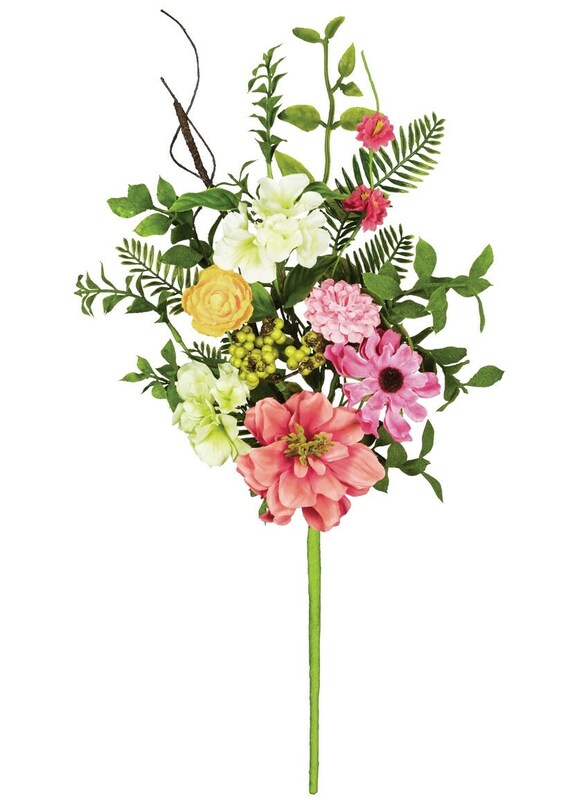 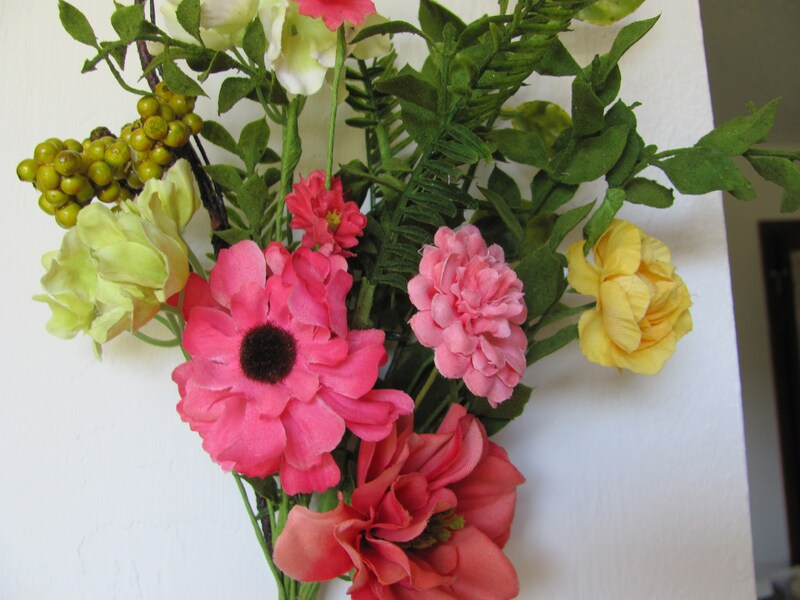 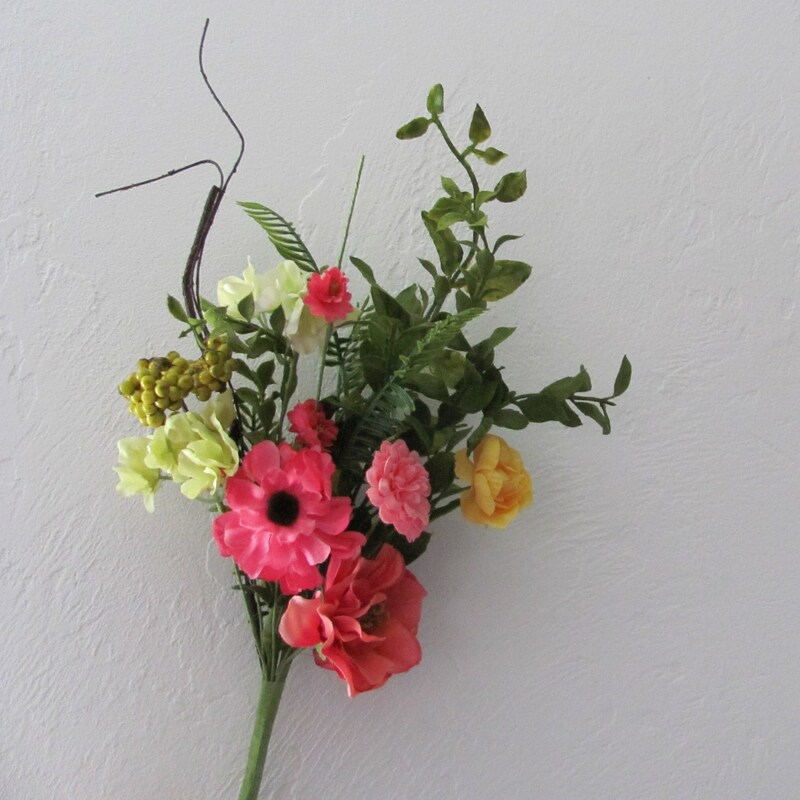 Floral pick bursting with hues of coral, pink, orange and green surrounding a delicate group of berries. 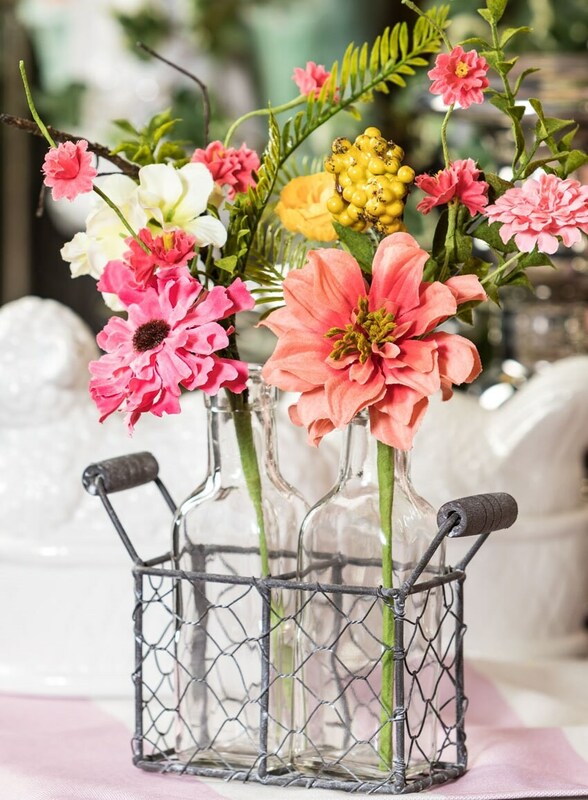 You absolutely can't miss designing with this perfect floral mix. 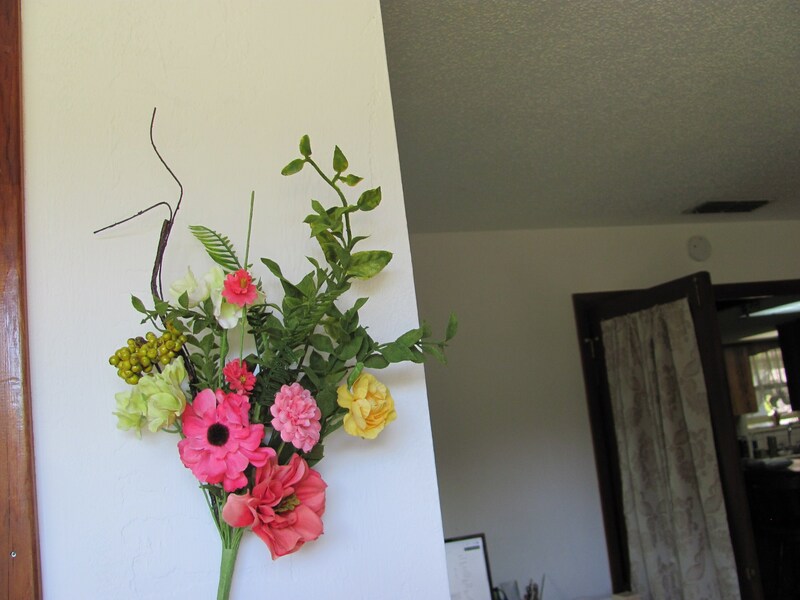 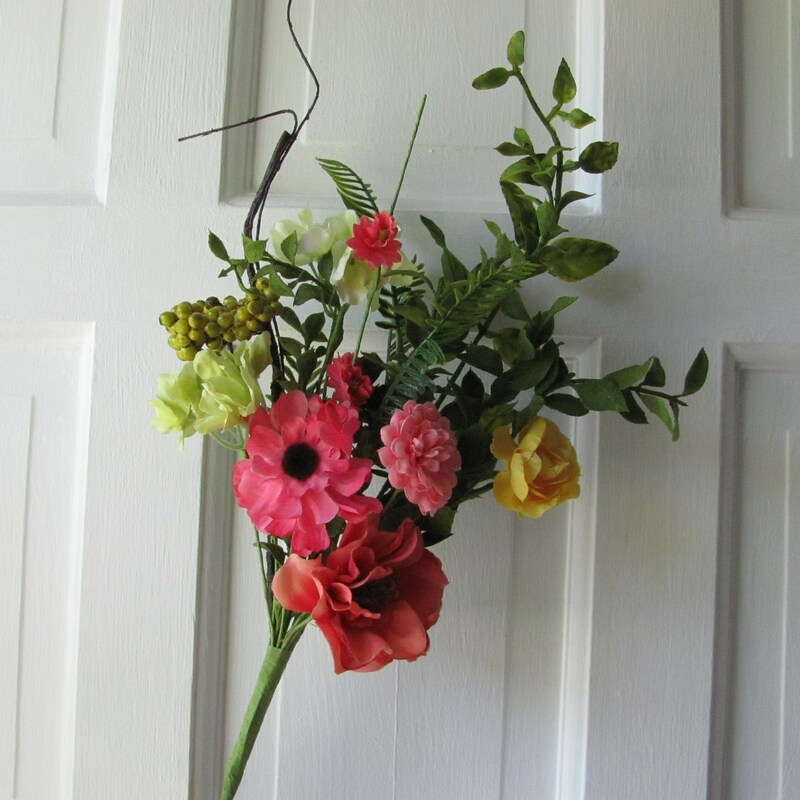 Ideal for using in centerpieces, wedding cake flowers, swags, garlands, take the stems apart and use in hair accessories, boutonnieres, corsages etc. 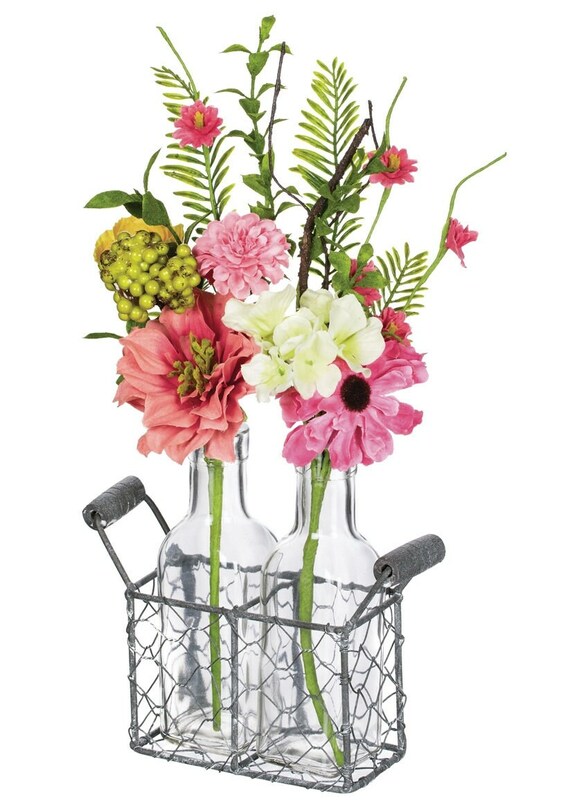 it shows picks divided into two sprays and then placed in the bottle vases.